You are going to Watch Cardcaptor Sakura Episode 14 English dubbed online free episodes with HQ / high quality. Stream Anime Cardcaptor Sakura Episode 14 Online English dub Sakura, Toya, and Cinderella, Sakura is invited to the high school culture festival. 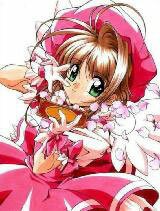 She meets Tomoyo and Syaoran there and catches a play by Yukito and Toya’s class. During the play, a mist forms outside the auditorium and enters through the vents where it destroys the stage and puts Toyo and a girl named Yoko in danger. Sakura and Syaoran head towards the lighting room where Sakura summons the Shadow card to capture the Mist card and Syaoran summons the wind to save the falling Toya and Yoko.